Stock #91656 Model #ZFLROCK15 On Sale through 6/30/19. Stock #91657 Model #ZFLROCK18 On Sale through 6/30/19. 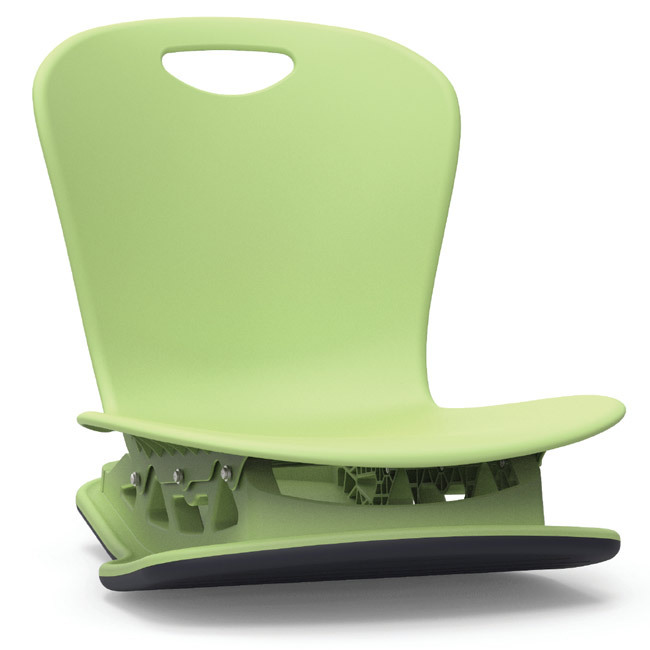 Get grounded with Floor Rockers, the hottest trend in classroom seating! More and more educators find students preform better when taught and tested in a familiar "home-like" position using alternative and flexible seating options. The Zuma Floor Rocker chairs from Virco provide subtle back-and-forth motion to encourage healthy sitting and offer ergonomic benefits in a one-piece-shell. Non-marring, BPA free pad allows for pinch-free, quiet movement.